Feast your eyes upon this. 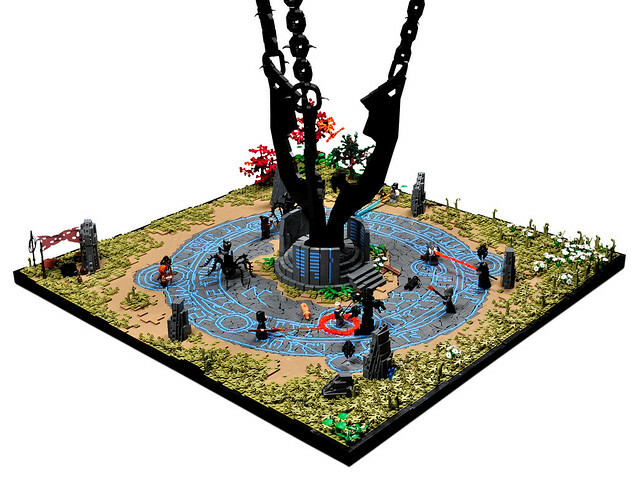 When I came upon this stunning MOC by Xenomurphy in my Flickr feed it sort of hit me in waves. First I was looking at the thumbnail and thinking "wow, that's cool" then I viewed the image and went "wait a second, that's not..." then I zoomed in, my eyes bulged, I slowly leaned in and went "whaaaaaaaaaaaa". Seriously, stop reading this and click through and zoom.